Natalia’s research is in the area of quantum fluids, superfluid turbulence, coherence in non-equilibrium quantum systems: Bose Condensation of excitons and polaritons, magnons, atomic gases, superfluid helium, strong light-matter coupling in solid-state and atomic systems and driven quantum systems. 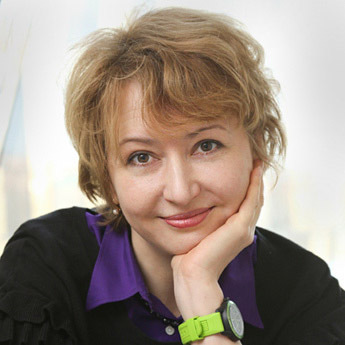 Natalia graduated from the Department of Computational Mathematics and Cybernetics, Lomonosov Moscow State University and received her PhD in Mathematics at the Florida State University. She worked as a postdoctoral fellow and subsequently as an Assistant Professor at the Department of Mathematics, the University of California, Los Angeles, until 2002. Since 2002 she has been a faculty member (Lecturer, Reader, then Professor) at the Department of Applied Mathematics and Theoretical Physics, and also a Fellow of Jesus College. Since 2013 Natalia served first as an Associate Dean then as the Dean of Faculty, then as the Director of Program in Photonics and Quantum Materials at the Skoltech Institute of Science and Technology. She is a recipient of the Dwight B. Goodner Fellowship (1995), the UC President’s Postdoctoral Fellowship (1997), an NIH/NHGRI Career Development Award (2001) and the Pilkington Prize (2005). Superfluidity is the central topic across many fields of physics, including condensed matter, quantum field theory, critical phenomena, classical hydrodynamics and nuclear matter. In the last two decades the field has undergone an important transformation combining theory with experimental realisations and potential applications. The course presents an overview of superfluidity with emphasis on properties of various quantum fluids from superfluid helium to atomic condensates and solid_state condensates. Recommended courses: Course «Introduction to Condense Matter», or a comparable course.